New reality series “All the Right Moves” talks about the very talented dancer Travis Wall trying to create his own dance company “Shaping Sound” with his friends, and incredible dancers, Nick Lazzarini, Teddy Forance and Kyle Robinson. The first episode aired last week and we learned that Travis Wall made a submission for Madonna’s MDNA Tour, but unfortunately didn’t get picked. Here it is, let us know what you think! Global luxury fitness brand, Hard Candy Fitness®, co-founded by Madonna, is launching the ground-breaking “Addicted To Sweat” (ATS) fitness DVD series featuring the exclusive programs previously only available at Hard Candy Fitness clubs. Madonna, the cultural icon renowned for her success as a musician, dancer, entertainer, film director, producer, fashion designer, and author is now sleeker, sexier and stronger than ever and ATS is an intimate training session that can lead to those same results. On 16 October 2012 Sony Pictures will be releasing “A League of Their Own” on Blu-Ray, according to blu-ray.com. When Madonna was in Vienna, she visited the Leopold Museum together with her daughter Lourdes, her boyfriend Brahim Zaibat and a few of the dancers. Madonna also signed the guestbook and imitated Egon Schiele’s signature. 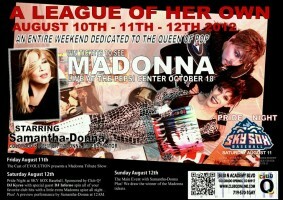 Club Q in Colorado Springs is hosting a huge Madonna Blowout Party upcoming weekend. 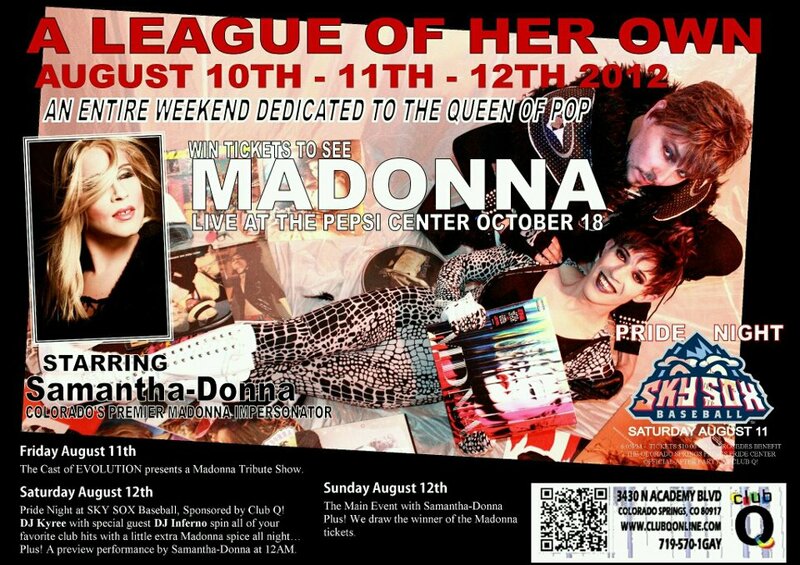 One of the prizes that are going to be given away are tickets to see Madonna’s MDNA Tour live at the Pepsi Center October 18th! Pride Night at SKY SOX Baseball. Sponsored by Club Q! All the details on the official Facebook page! On August 21st, there will be a Madonna party in Budapest, sponsored by Universal Music Hungary with some special treats to be won! For all the details, join the Facebook page! Calling everyone attending Madonna’s Birthday Show in Oslo! 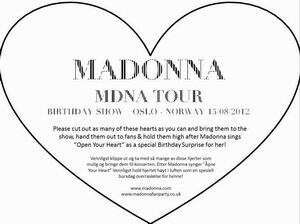 Madonna’s Official Fan Club Icon have asked that fans bring paper “white hearts” for themselves and other fans to her ‘birthday show’ in Oslo, Norway on 15th August, and hold them aloft after she sings “Open Your Heart” as a birthday surprise for the Queen of Pop. This tradition started in 2009 at her birthday show on the Sticky & Sweet Tour in Warsaw, and it is hoped that it will continue on this tour in Norway and indeed for all of Madonna’s birthday shows in future years. Here is a link for your to download your heart , print them to A4 or even A3, cut them out and bring them along to the show to wish Madonna a Happy Birthday! 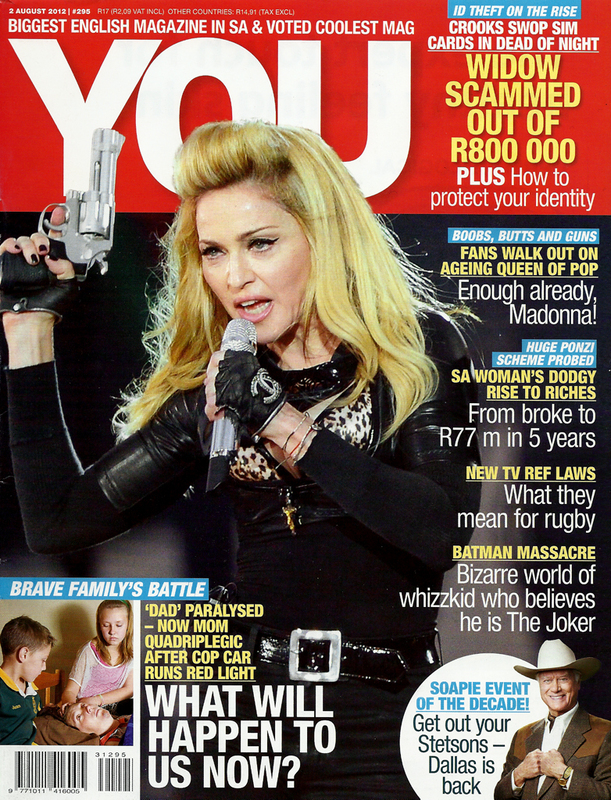 The Embassay of the United States in Moscow has released a statement alerting U.S. citizens in Russia who are planning to attend the Madonna concerts in Moscow on Tuesday, August 7, or in St. Petersburg on Thursday, August 9, that the U.S. Consulate General in St. Petersburg has received information regarding a threat of physical violence against spectators and performers. The remixes of “Turn up the Radio”, the third single off Madonna’s MDNA album, have been released in iTunes!